China’s Spring Airlines signed the agreement with CFM International for CFM56-5B engines to power two new Airbus A320 aircraft. The engine order is valued at $40 million U.S. at list price and the airline is scheduled to take delivery of the first aircraft in January 2014 and the second aircraft in July 2014. Shanghai-based Spring Airlines, established by Spring Travel in 2005, is China’s first low cost airlines. 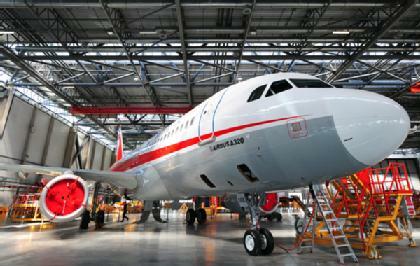 Its entire fleet consists of 33 CFM56-5B-powered Airbus A320 fleet. The airline boasts one of the youngest fleets in the world today and operates more than 50 routes across China. Spring Airlines is also the first private carrier to operate international routes and currently serves destinations in Japan and Thailand, in additional to Hong Kong and Macau. CFM56-5B engines (cfm56.com) are a product of CFM International, a 50/50 joint company between Snecma (Safran group) and GE. CFM, the world’s leading supplier of commercial aircraft engines, has delivered more than 24,200 engines to date. The CFM56-5B engine powers every model of the Airbus A320 family and has been chosen to power nearly 60 percent of all A320 aircraft in service or on order. T: 513-552-2790 / M: 513.885.2282 - E: jamie.jewell[.]ge.com. T: 513-243-3372 / M: 513.607.0609 - E: rick.l.kennedy[. ]ge.com.